Margaret Lewis Warwick has more than 35 years of professional activity in the music industry. Her Involvements include artistic endeavors and business activities. She is a singer/songwriter, musician, producer and music publisher. Maggie began her adventures in music as a teenager in West Texas when she organized her first band in high school, "Margaret Lewis & The Thunderbolts!" She was invited by Johnny Horton and Tillman Franks to join the "Louisiana Hayride" after she won a talent show they produced with KDAV Radio Station in Lubbock, Texas. She moved to Shreveport with her family in the late '50s and performed with Horton and many other stars on the original Louisiana Hayride until it closed in 1960. She then moved to Nashville and became actively involved in songwriting, production and publishing. Among her numerous award-winning songs includes the classic, "Reconsider Me," a #1 R&B hit by one of New Orleans' greatest singers, Johnny Adams, and #1 Country hit by Narvel Felts. Her rock classic, "Soul Shake," was a major hit by Peggy Scott and JoJo Benson, Delaney & Bonnie Bramlett, with many versions following including the Angela Strehli R&B masterpiece, and a roaring rendition by actor/musician, Bruce Willis. She has had over 100 songs recorded in albums and singles by artists Jeannie C. Riley, Dolly Parton, Lynn Anderson, Loretta Lynn, Conway Twitty, Connie Francis and many more. 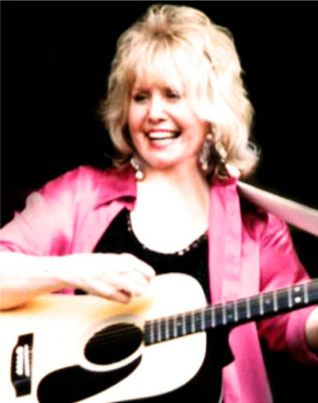 The Country Music Foundation's 2005 GRAMMY Winner, "Night Train to Nashville," featured two of her compositions. Top selling R&B artist Jimmy Barnes of Australia recently recorded an amazing version of "Reconsider Me" in his latest CD. Maggie is the recipient of many BMI Awards and other distinguished honors including New Orleans OFFBEAT Magazine Award, "Best of the Beat."